Boyana Achovski is Secretary General for Gas Infrastructure Europe (GIE), the European association of gas transmission, gas storage and LNG regasification terminal operators. Prior to her current role, Mrs Achovski held the position of GIE Vice Executive Secretary for a period of 4 years. 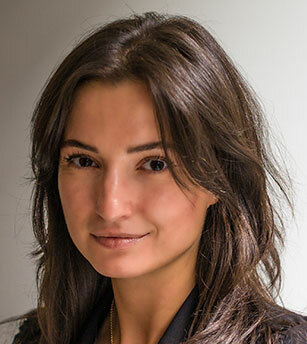 Before joining GIE, Boyana Achovski worked for Bulgartransgaz, the Bulgarian transmission and storage operator, where she led the Analysis and International Operations Division, managing the company’s undertakings relating to the European regulatory framework and European energy policy. Mrs Achovski graduated in International Economic Affairs, specialized in International Finance and holds a Master's degree in Finance. Boyana Achovski was a Chair of GasNaturally Steering Committee from June 2017 to January 2018.